We’re delighted to be a part of the TGPI festival at Juhu , Mumbai starting today . A super eco , creative bringing together brands passionate about creating a sustainable world . 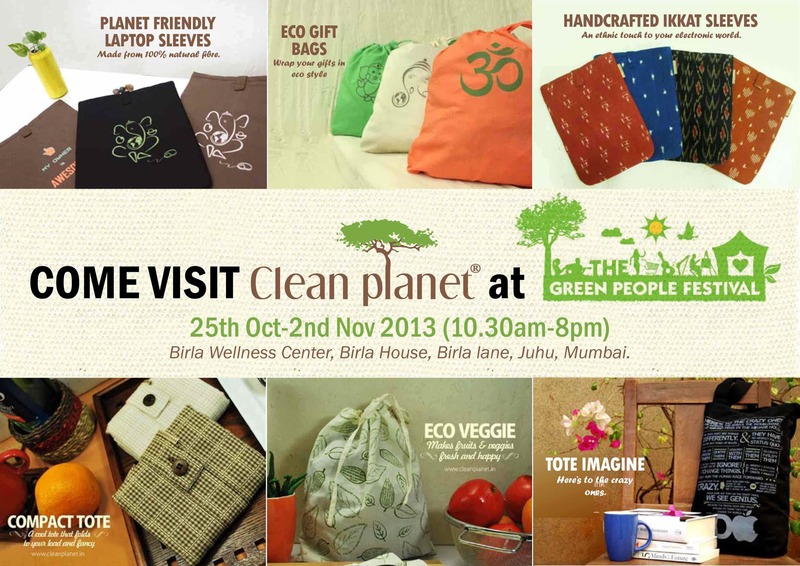 Visit the TGPI festival for loads of eco-goodies , organic food , music ! This entry was posted on Friday, October 25th, 2013 at 5:05 am	and is filed under Eco-biz, Eco-living, Ideas we ♥, Make a difference. You can follow any responses to this entry through the RSS 2.0 feed. You can leave a response, or trackback from your own site. Over the last year Desiree has been setting up a “classroom” where she can share the things she has learned in her adventures. have a lot more land to play with. This often turns into a burden or liability in terms of maintenance and aesthetics.